Little Free Libraries: You've probably seen these cute quirky wooden structures in your neighborhood. Here in Seattle everyone's kind of crazy about them; they're popping up on every other street, and my husband is now putting the finishing touches on one for our sidewalk too, since I'm so fond of them. I always enjoy browsing them when I'm on walks, and discovering a new one is a special treat. 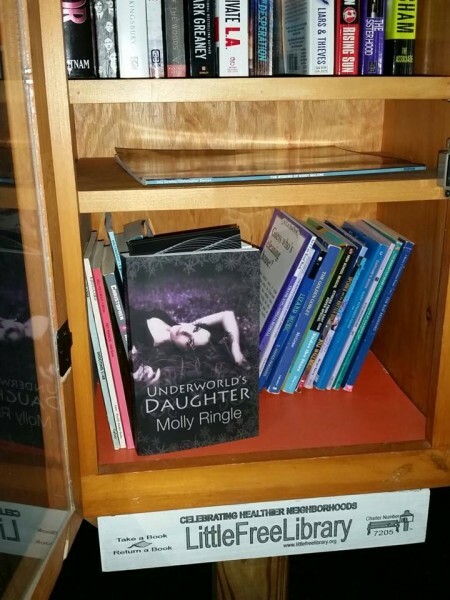 Lately one thing I've also been doing is to leave copies of my own books in them. I figure it's good promotion--gets the title in front of people, and lets them try out the book for free. Plus, if I'm going to enrich any neighborhood with free books, I might as well start with my own. Stay local (or at least start local), and all that. Now, yes, this means I'm paying for my author copies and then not getting any money in return for them. It's basically a donation, a promotional expense. However! I also reckon it counts as an exchange. As the signs on these libraries say, you get to take a book and leave a book. So in exchange for leaving one of mine, I can take one of the others if it looks good. I've found lots of delightful reads that way, books I'd never heard of before. Sometimes they're for my own reading pleasure, and sometimes I pick up ones I think my kids or husband would like. The inventory is guaranteed to be random, but I end up enjoying the chance aspect of it. What's especially gratifying: when I later walk past those Little Free Libraries, my books are almost always gone from them. I'm pleased to know they have enough shelf appeal to get grabbed by those who stop and browse. 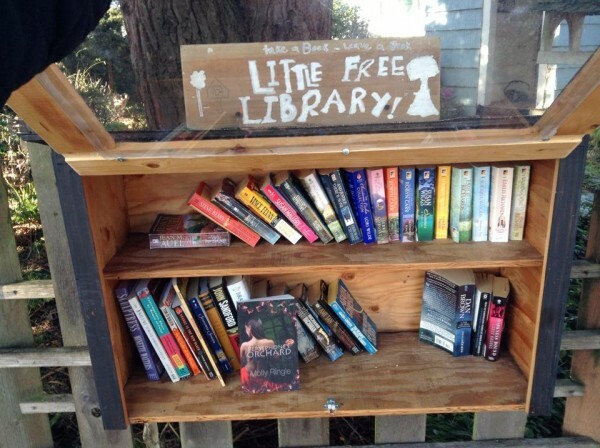 These little libraries are so cute. I wish we had these in my area. Love it! :) Such a neat idea!